First, you need to have 5-star reviews on Google. Learn more about getting patient reviews in this post from our archives. Once you have some 5-star reviews, go to smallthanks.withgoogle.com and enter your practice name. Select your practice when it appears. 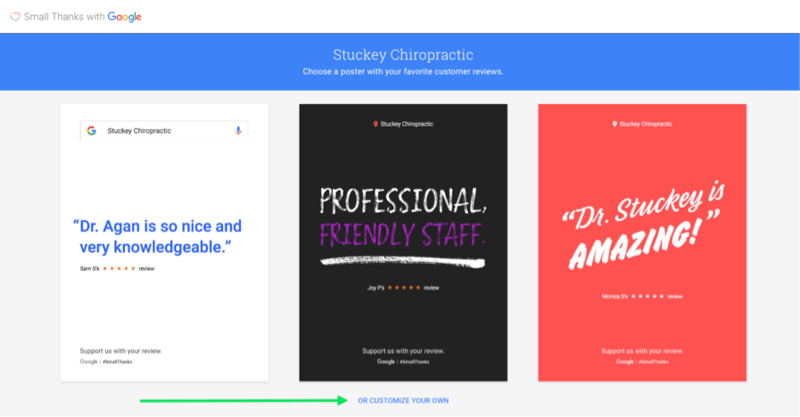 Once you select your practice, it automatically generates posters with a few of your positive patient reviews. 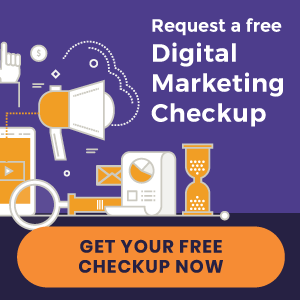 Simply click on the poster you like and you’ll be taken to the next step where you can click “Generate Asset” to download the high-res files for printing, or easily share your patient review poster on your favorite social media sites. 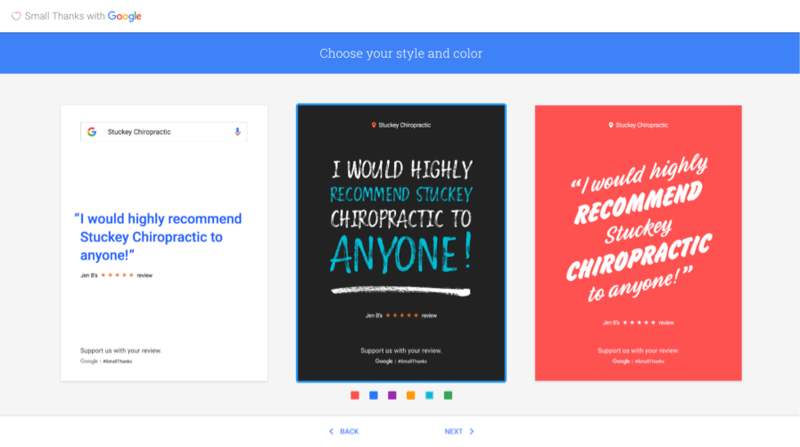 Want to customize the colors or select a different review? 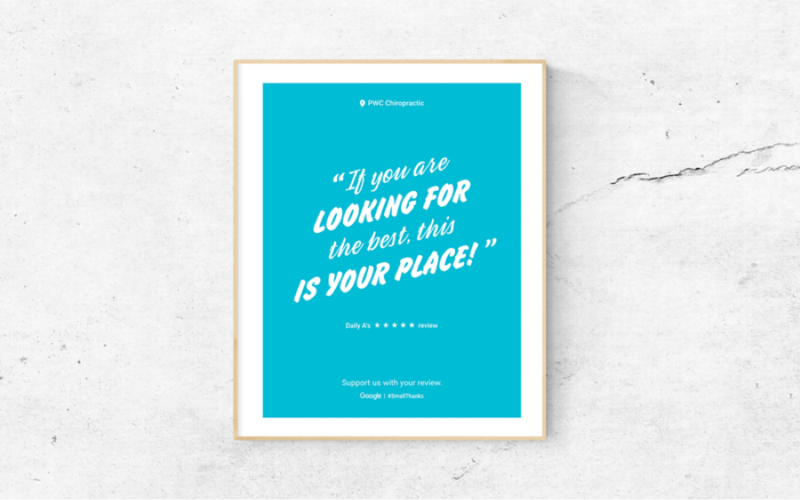 Just click “Or customize your own” beneath the automatically generated posters. 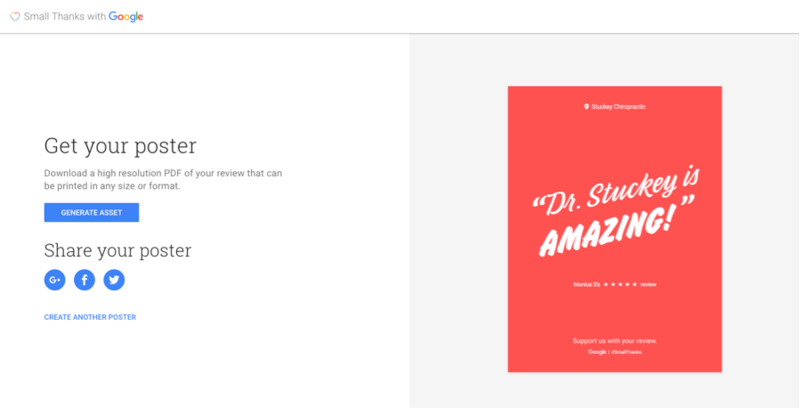 You then have the option to choose whether your poster displays one or three reviews and which reviews it shows. Click “Next” and you’ll see your new posters with options to customize some of the colors. Once you’re happy with your new poster, click “Next” again to be taken to the downloadable files and social media share options. 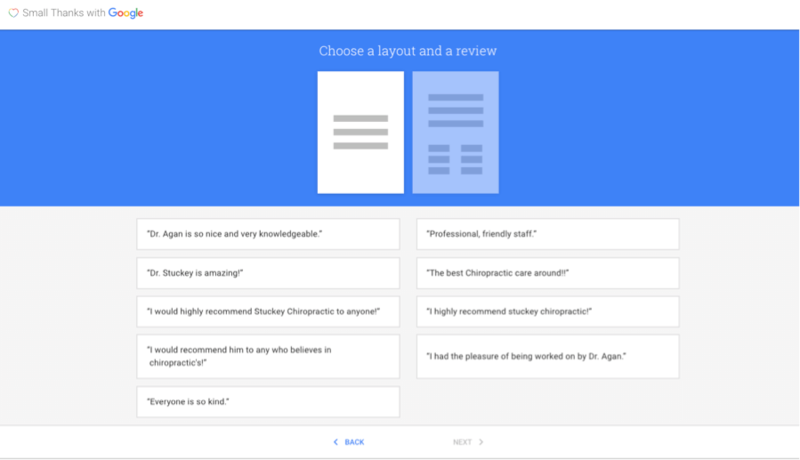 You might be asking yourself, “Why would I want patient reviews on posters?” Great question. The answer is … social proof! 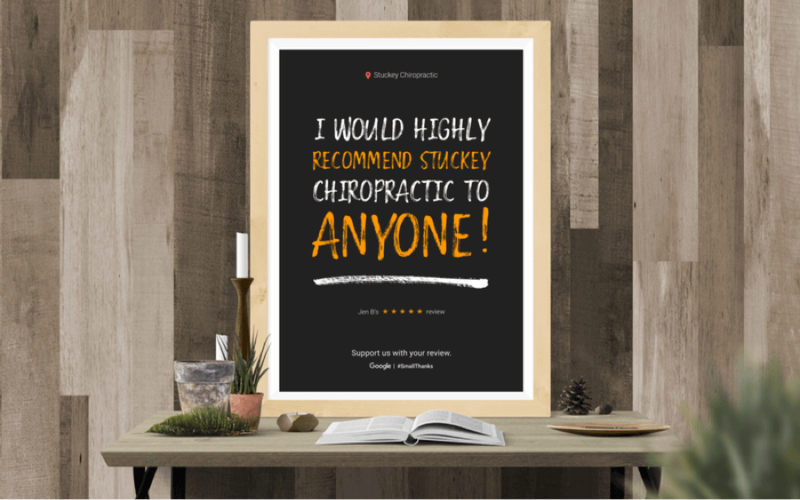 All good chiropractic marketing plans need to offer prospective patients some form of social proof that shows you are a chiropractor they can trust. So, share the occasional review poster on Facebook. You’ll ease any anxiety new patients may have as they sit in the waiting room waiting for their first appointment. 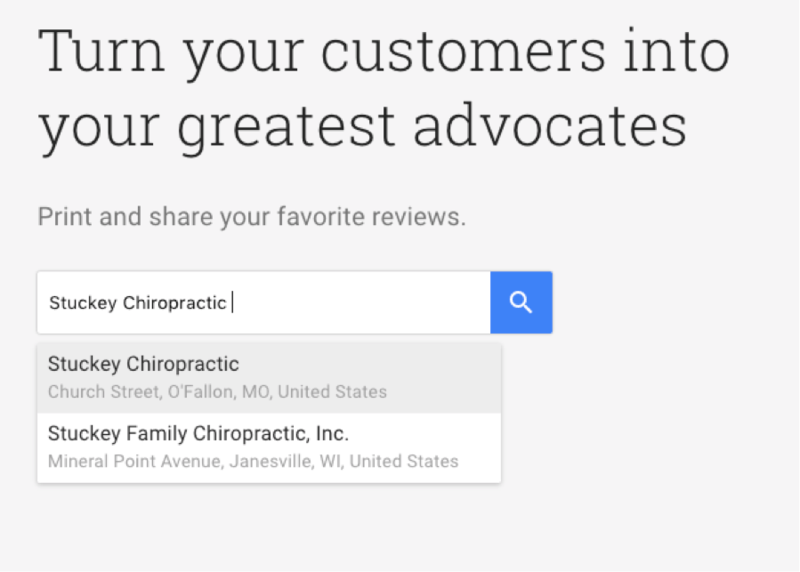 You’ll be subtly reminding your patients to leave their own 5-star review on Google! Not sure if you have Google reviews? Or any online reviews for that matter? Our 5-Star Reputation Management service, included in our Premium plan, will help you earn more positive online reviews and manage existing ones. Learn more.